Lately a lot of my free time has been dedicated to the development of a game called The Death Of The Corpse Wizard. The Death Of The Corpse Wizard is a coffee break roguelike which draws significant inspiration from one of my favorite games, Mystery Dungeon: Shiren the Wanderer. I’ve also been playing Peculiar Games’ Voyage To Farland, which is, like Corpse Wizard, inspired by the Mystery Dungeon series. So Mystery Dungeon has been on my mind. The sense of adventure that Shiren manages to evoke is a whole other article. Every game of Shiren begins in The Canyon Hamlet, which is a medieval Japanese village populated with a cast of characters, many of whom are seasoned wanderers themselves. There is a small restaurant which, if you visit, the bar keep of which will give you a Rice Ball. Rice Balls are food, and they will be the item with which we begin our analysis. Roguelikes distinguish themselves from other role playing games in their commitment to present the player with mostly meaningful choices. Like traditional RPGs, most roguelikes feature a system of progression whereby the killing of monsters translates into experience points, which themselves translate into improved ability to kill monsters. Numbers, as they say, go up. However, in most traditional RPGs one is free to wander around indefinitely, killing randomly generated monsters until one’s level is arbitrarily high. Because monsters generally spawn indefinitely, one is free to exchange as much boredom as they can stand now for as much ease as they want later. And because, with each additional level the player gains, all subsequent encounters become easier, this so-called grinding becomes boring very quickly. People play games for all sorts of different reasons, but I advance that “trade boredom for easiness” is not the most compelling of game design principles. Let’s take it as a given that Roguelikes use RPG-like undermechanics, with statistics mediating encounters, and where leveling up controls those numbers. If the game design is to present interesting choices, then the player must never be far outside of a particular level-range at any given moment; a level range designed to ensure that the player must take care. How does the game designer achieve this balance? Modern roguelikes are experimenting with a variety of possibilities (The Death Of The Corpse Wizard, for instance, simply doesn’t have levels at all, and the game moves forward whether the player wants it to or not), but Shiren is fairly traditional: it uses what is usually called a “Food Clock,” which just means that Shiren has a timer that slowly ticks down and which, when it reaches zero, kills the player. In order to make the timer go up again, the player must make Shiren eat, which means she must find food, and since items don’t spawn infinitely, or do so with a frequency insufficient to avoid starving to death, she must move Shiren ever forward. By adjusting the food clock, the game designer can change how hard she pushes the player forward, adjusting the difficulty of the game. So the take away of this digression is that the player needs food. In Shiren, food mostly comes in the form of Rice Balls, almost always either a Small Rice Ball or a Large Rice Ball. When the bar man gives you your free Rice Ball, he gives you some advice about the proper care and maintenance of Rice Balls. There is a trap, you see, in Shiren The Wanderer, which will cause your Rice Balls to go bad. A bad Rice Ball only recovers a small amount of hunger and it also usually causes a negative status effect of some kind. I want to stop and remark upon this, the most basic of mechanics. It would have been easy for the designers to simply destroy your rice balls on certain traps, but instead they transform them into risky items: they might save you from starving to death, but they might also make you fall asleep, and hence be helpless against monsters. The choice to eat a rotten Rice Ball, then, is pretty interesting. You have to think hard about it. That point aside, you don’t want your Rice Balls to rot. One way of preventing them from rotting is to eat them right away: like a Fremen in a still suit, the best place for nutrition is, after all, in your body. Here Chunsoft again demonstrates an unusually good design instinct: you can only have a maximum satiation of 100%. Big rice balls give you 100%, so the optimal time to eat them in the absence of traps is when your satiation is at zero, but Small Rice Balls give you 50%, so you can eat them at 50% satiation and maximize their utility. So paradoxically, Small Rice Balls are better than big ones, because you can eat them sooner, and hence they have a lower probability of being spoiled. Large Rice Balls, on the other hand, will either waste their satiating ability or risk going bad. With just two items, a trap and a single mechanic, Chunsoft has created a rich environment to balance risk and reward. That is good design. And that doesn’t even include what happens when you add jars into the game. For simplicity, let’s assume that there is just one type of jar, the “Jar of Holding.” As the barkeep says, if you put your Rice Balls inside a jar, they won’t go bad, even if you step on a trap. You can eat Rice Balls directly from the jar, without taking a turn to take them out, so if you have a jar, it makes sense to load it up with any Rice Balls you find. However, there are monsters which steal items in Shiren, and they will occasionally steal one of your jars. If you have put all of your rice balls in a single jar, then you’ll lose all of them if they get stolen. Note here that, short of recovering your jar, which is possible, but difficult, you lose the Rice Balls. If they rot, they are still semi-valuable. There is not an exact parity between the consequences of carrying your Rice Balls around and the consequences of stashing them in a jar. This is a good game design: you have to choose between similar, but not exactly identical, risk profiles. If you have a leather shield, for instance, which reduces the rate at which you get hungry, it makes more sense to risk letting the Rice Balls rot, because the 30% satiation that a rotten Rice Ball gives you is actually pretty solid, in exchange for the temporary negative side effect. The detailed breakdown is a bit more complicated, but that is the idea. 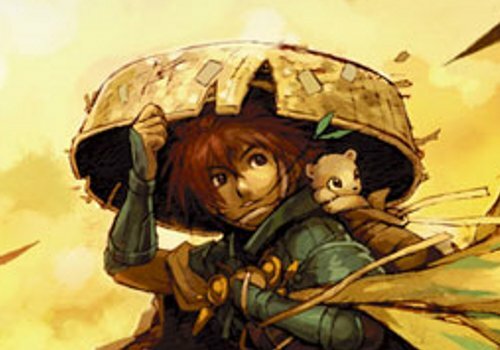 As we look at the design of Mystery Dungeon: Shiren The Wanderer we’ll see that most of the mechanics in the game are balanced against one another in a way similar to the way Rice Ball rotting traps, jars, thieves and hunger are so balanced. In a turn based game design, where things proceed in a fairly deterministic fashion, the whole richness of the game is in these interacting systems. As I develop The Death Of The Corpse Wizard, I’ll be trying to invent or steal such mechanisms. Hopefully I will succeed. This entry was posted in Uncategorized on June 20, 2014 by Vincent.